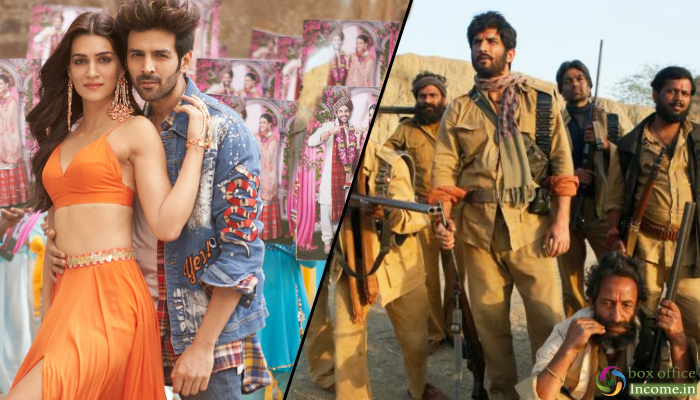 On this Friday two films are being released at the box office, Luka Chuppi and Sonchiriya. Luka Chuppi have been promoted for over a month now and come with their own unique credentials. Also the existing Gully Boy is doing excellent. So for the new Hindi films, this week would definitely be challenging. Starring Kartik Aaryan and Kriti Sanon in lead roles, romantic comedy-drama Luka Chuppi is making good buzz since its trailer was released out. Because of its quirky but entertaining content, it seems promising and capable to attract enough audience across single as well as multi-screen cinemas. Because of the clash, this one too is expected to start on a decent note. 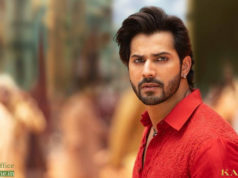 Produced by Maddock films, Luka Chuppi seems to open in a range of 4.50-5 crores which can be considered good enough due to its controlled budget of 13 crores. On the other hand, action drama Sonchiriya which starring Sushant Singh Rajput, Bhumi Pednekar, Manoj Bajpayee, Ranvir Shorey and Ashutosh Rana has no buzz. The film will depend entirely on word of mouth though as it is based in Chambal with dacoits as the protagonists. All the leading actors have tasted failure in their last ventures, and also Sonchiriya has not been promoted on a good scale. 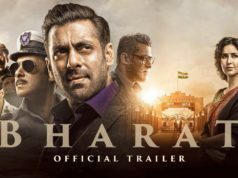 So considering the facts it is expected to open in a range of 2-2.50 crores, as most of the audience is still unaware about it’s release.